A bright-eyed little friend named Linden is walking! 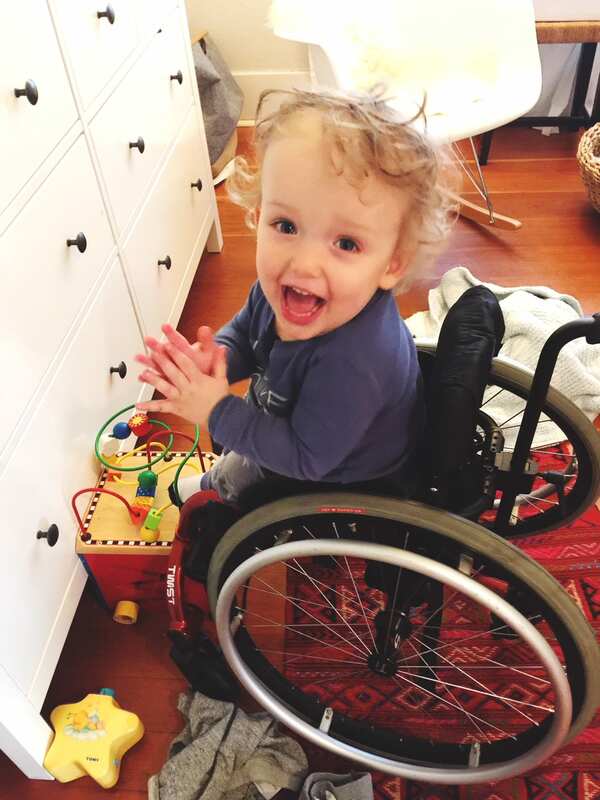 Linden was born with spina bifida, a spinal defect that threatens mobility. 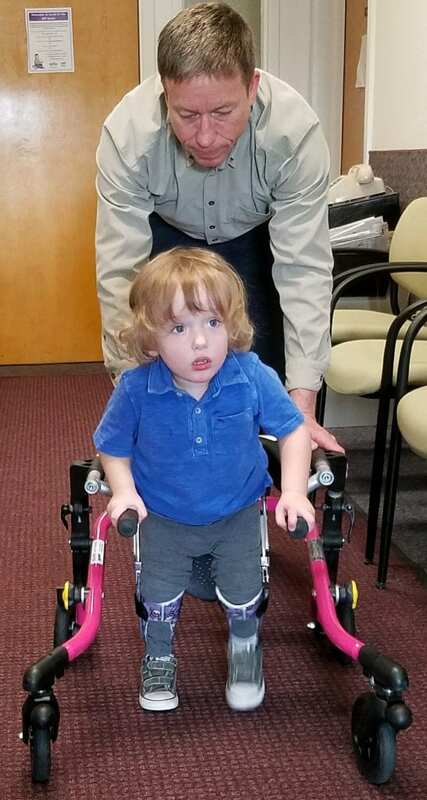 A few weeks shy of his third birthday, Linden took his first steps! It was a big moment for his family and for our staff at Joya Child & Family Development. The family’s journey began when Linden’s mom, Cheri, and dad, Scott, found out they were expecting identical twins. At 12 weeks, though, an ultrasound showed a little spot on one of the babies. “We knew early on that one of the boys had spina bifida,” Cheri said. Linden started receiving home-based therapy from Joya at three months of age. At age 2, Linden arrived at the children’s center to participate in a toddler group, along with his twin brother, Hayes, who became a classroom peer model. Linden, who was already capably navigating in a wheelchair, was ready to learn and make friends. With dedicated parents, an awesome 5-year-old brother named Dylan, and grandparents who are super supportive, Linden is making great progress as he develops new skills. 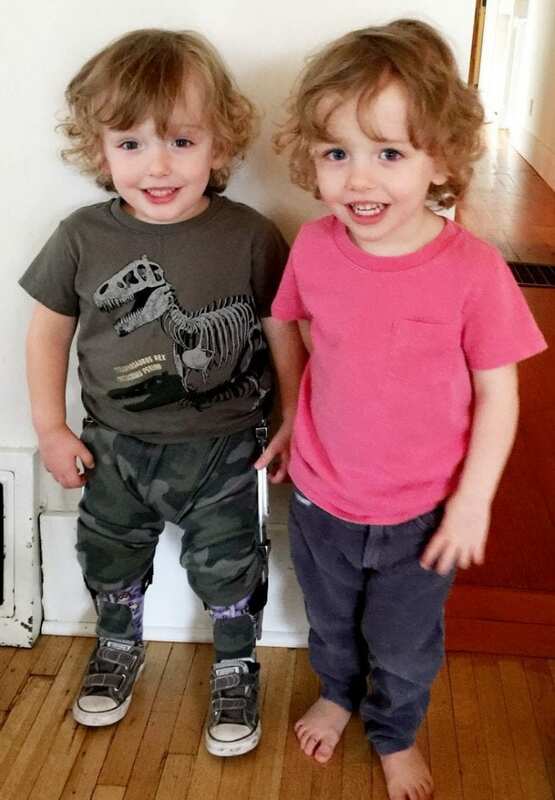 Cheri took a picture of the twins – marking the first time the boys had stood side-by-side. With the warmer weather, the twins are having some fun outdoors. Linden and Hayes enjoy throwing the ball back and forth, playing hide-and-seek and racing toy horses. They are best friends who sometimes break out in song together and help each other all the time. When it comes to imaginary jobs, Linden pretends to be a doctor while Hayes prefers the more adventurous role of a garbage collector.  Cheri said the Joya staff forged relationships with Linden that helped him build confidence, work hard in therapy and continually realize his potential. “Linden is absolutely in love with his teacher and therapists,” Cheri said. Cheri is thrilled with the progress Linden has made and looks forward to everything he will accomplish in life.